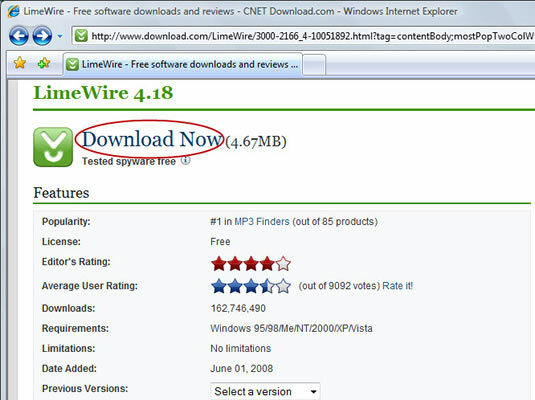 Click the link or graphical image that begins the download. 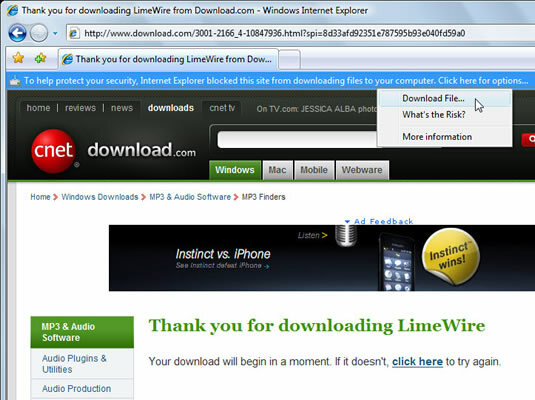 Sometimes, clicking the link starts the download immediately, and sometimes you’re taken to another page. Be patient; eventually you get the file. If the Information Bar warning appears, click the Close button. 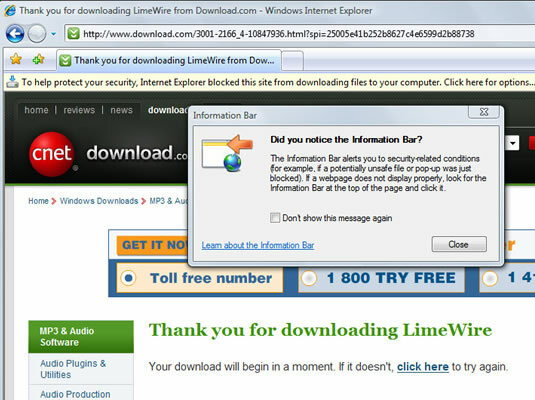 This protects you from downloading anything dangerous. 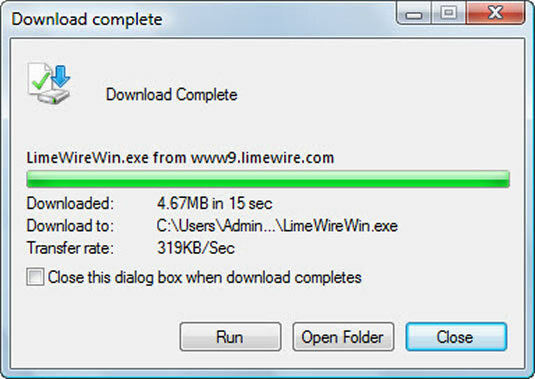 A File Download dialog box appears. 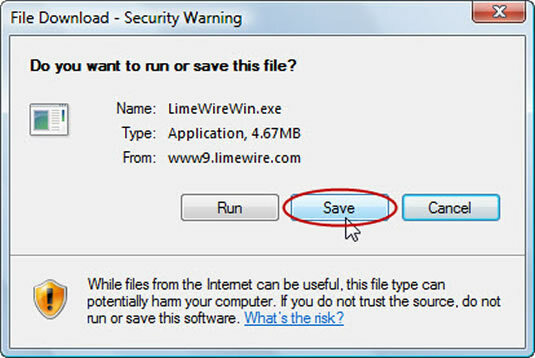 You should click the Save button because it allows you to reinstall the program more easily if something goes wrong. Choose Open only if you’re directed to do so. Click the Save button in the Save As dialog box. Generally speaking, the filename and location are fine. The Internet uses the same filename as the original file, which is generally a description of what you’re downloading, plus maybe a version number. The file’s location is the Downloads folder, which is perfect. 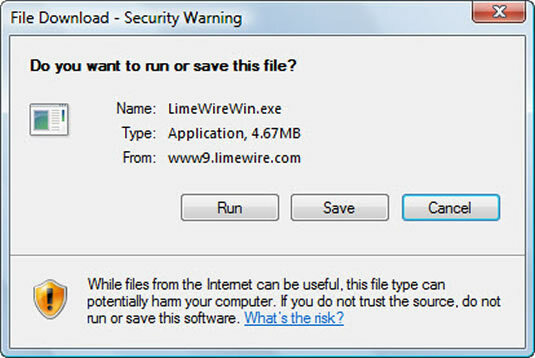 It’ll take a few minutes for your file to be copied from the Internet to your computer. 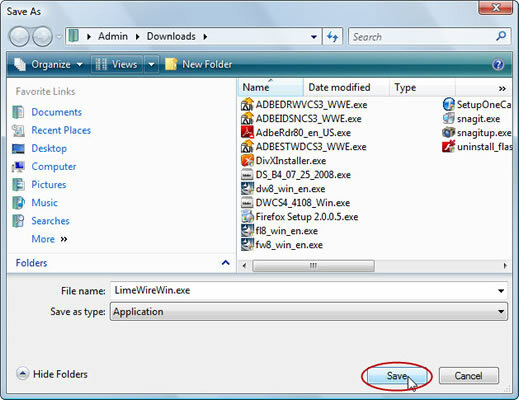 To immediately install the program, click the Open button. Follow the directions on the screen to finish the installation. The directions are specific to whatever you’re installing.